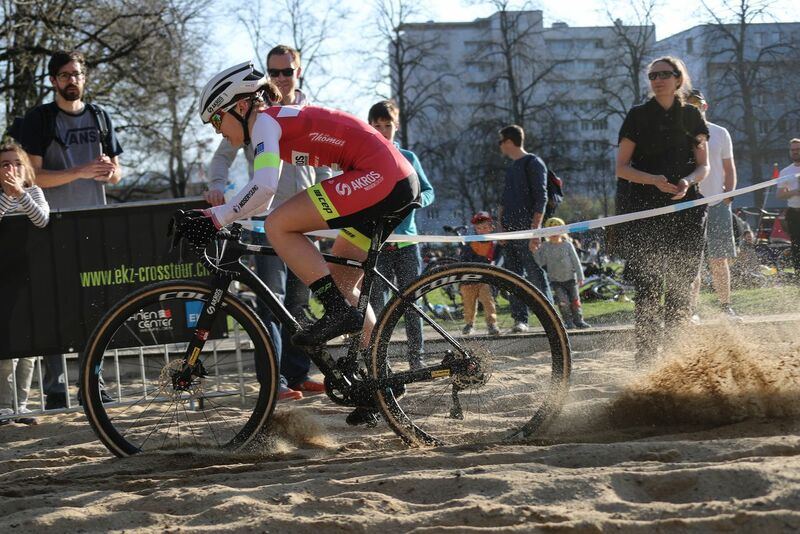 It might be spring and the 2019/20 cyclocross season might be months away, but cyclocross was in season in the city over the weekend in Switzerland. 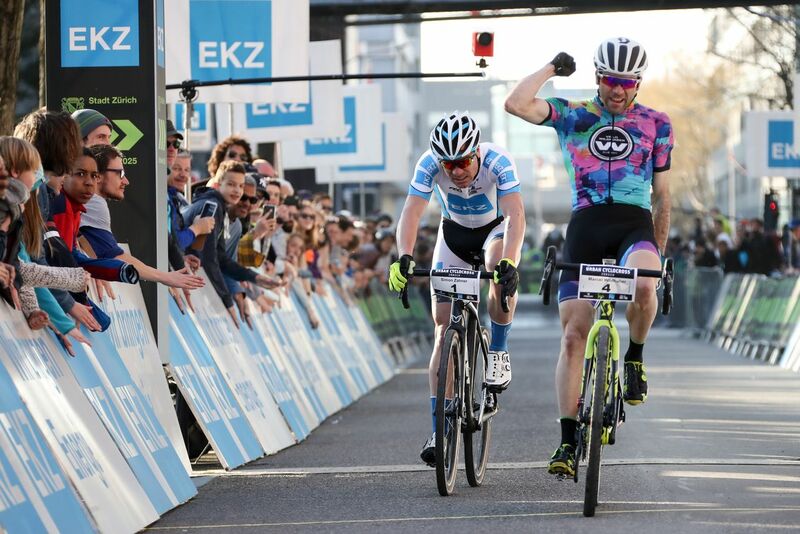 As we mentioned in our preview, Saturday’s Urban Cyclocross Zürich is one of the events put on by Switzerland’s EKZ Cross Tour that is helping the sport grow in the country. Saturday’s race traded the fields of Flanders for Josefwiese park in Zürich, and it traded Toyo Tires for a fountain, beach volleyball court, van and concrete city stairs. Also unique to Urban Cyclocross was the eliminator format, with riders going through heats around the 1.4km course, whittling the fields down to final groups of six riders. Both the women and men went through four rounds of racing—starting with a qualification heat and then three elimination heats—before getting to the final race of six. Basically like March Madness, but for bikes. For a closer look at what the race looked like, see this gallery from the EKZ Cross Tour. The final six women were: Ellen Van Loy (Telenet Fidea Lions), Nicole Koller (Möbel Märki Pro Team), Noemi Rüegg (Akros – Thömus Devo), Vera Adrian (RE/MAX Cycling Team), Tina Züger (Tower Sports – VC Eschenbach) and Zina Bahourmi (RSC Aaretal Münsingen). Van Loy took the win in the championship. Semifinal and final results are below. 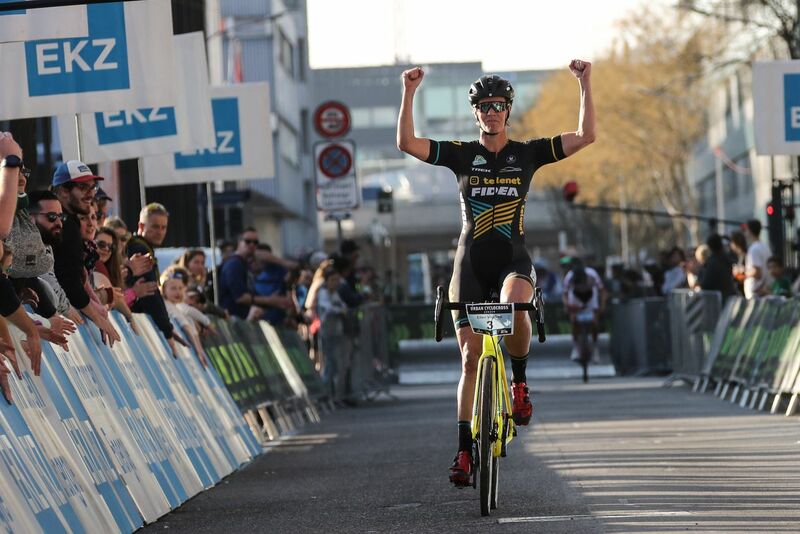 The final six men were: Marcel Wildhaber (Velo Wildhaber), Simon Zahner (Team EKZ), Sascha Weber (Easton Cycling Team), Timon Rüegg (Swiss Racing Academy), Severin Sägesser (Focus.E.Floccari Cyclocross Team) and Steve Chainel (Team Chazal Canyon). Wildhaber got the win, narrowly edging out Zahner.